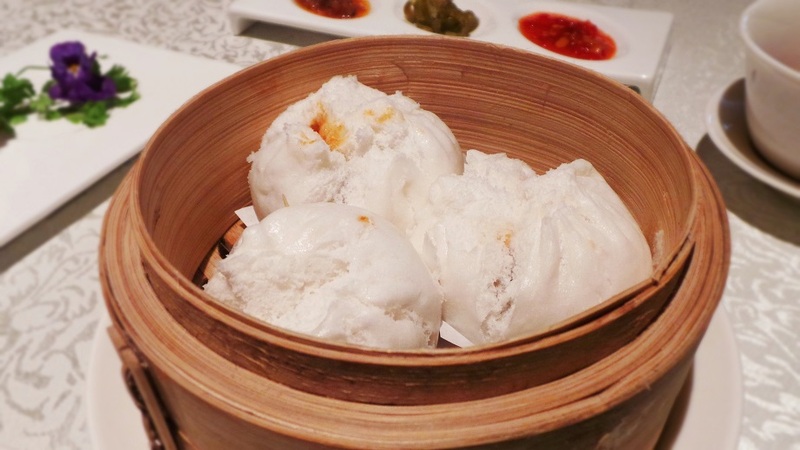 Dim Sum has always been a traditional comfort food in Singapore, owing to many early migrants bringing this wonderful cuisine to our little island from Hong Kong. 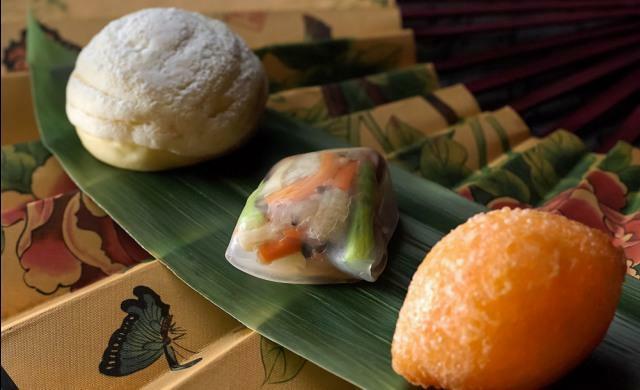 Through the decades, Singapore has also evolved the Dim Sum culture to include different styles like Shanghainese and Sze Chuan dishes, as well as our own local touch. 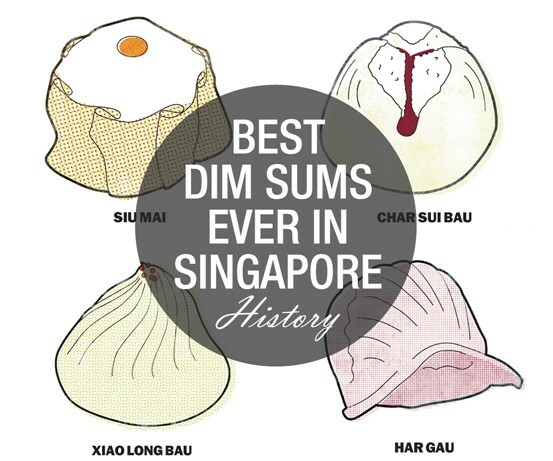 Singaporeans love dim sum and I felt a need to research, taste and develop a comprehensive guide to the best dim sums in Singapore ever seen, due to the massive number of people looking for good dim sum. It was also the perfect excuse to stuff myself senseless with Liu Sha Bao (流沙包). Many restaurants only serve dim sum in the morning till mid afternoon, then switch to a different dinner menu. Look out for the dim sum hours available so you don’t miss it! Highlighting the best value for money dim sum, these are the dim sum restaurants I feel were extremely worth the money I paid. This category doesn’t mean these restaurants are cheap, but that they give maximum tummy happiness for every dollar spent. 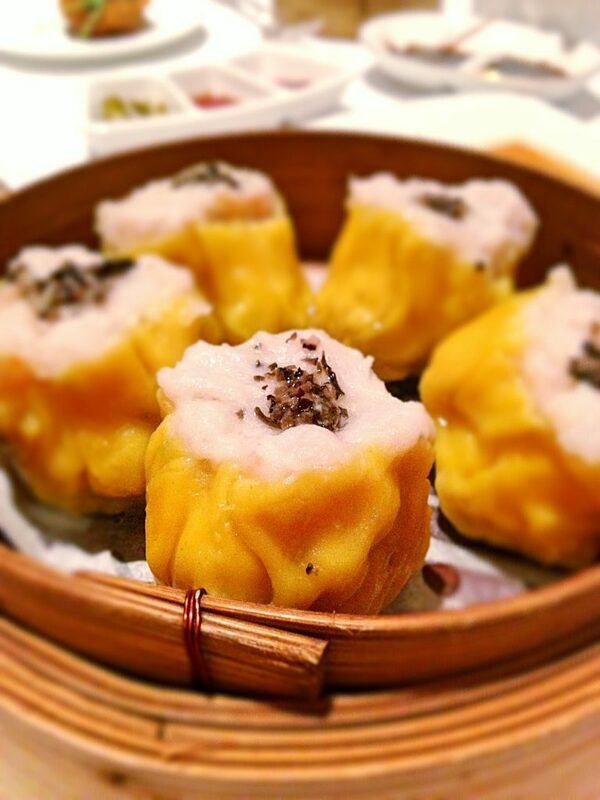 Helmed by Masterchef Lap Fai who was crowned Asian Cuisine Chef of the Year 2012 at the World Gourmet Series Awards, Hua Ting is an excellent choice for mid-high range dim sum. Among all my tastings, I would have to say Hua Ting has the best overall dim sum– every single dish I tried here was delectably impressive. Typically packed, you have to make reservations at the restaurant 2 days beforehand. 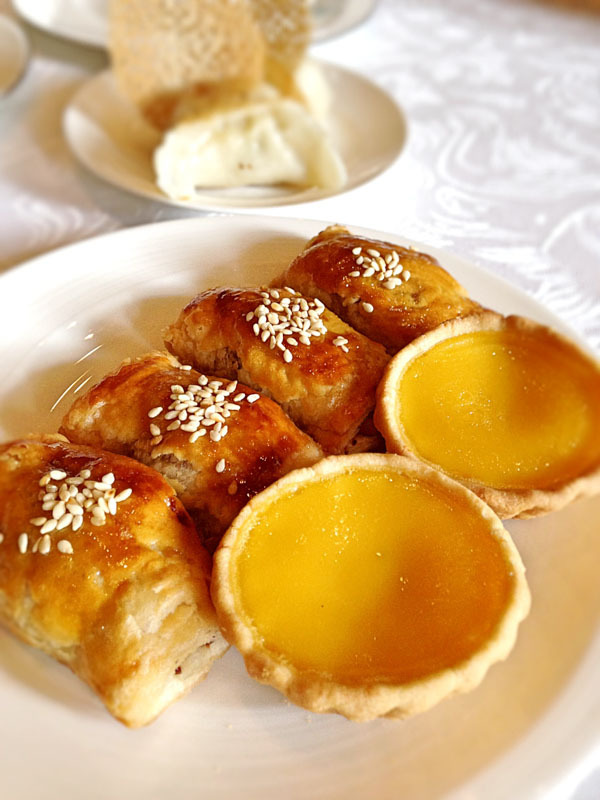 The baked mango with chicken tart ($4.50) and double boiled Cantonese Soups are delicious favorites. 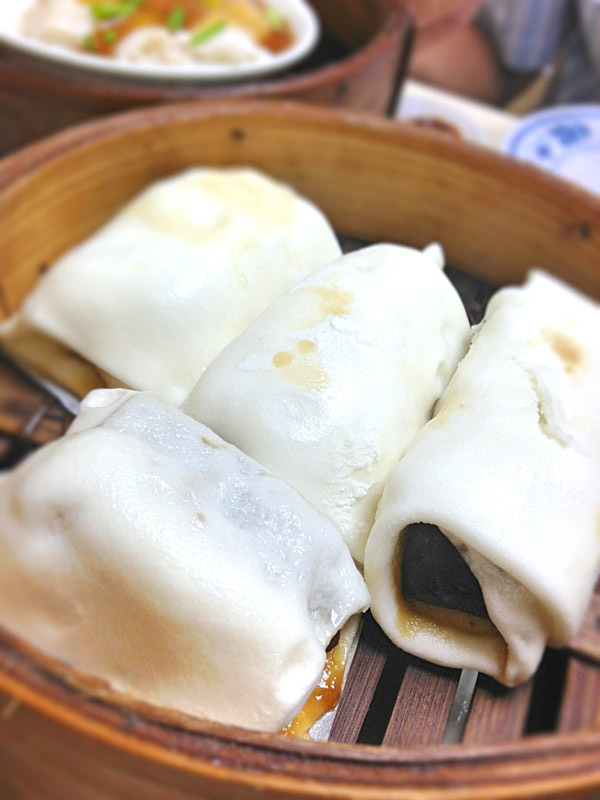 The liu sha bao (salted yolk lava buns, $4.20) is thick, creamy with a hint of salty graininess and with smooth skin. Even the special-of-the-day vegetarian dim sum (made with mushrooms and Chinese wine $4.20) was good, given that I don’t usually order vegetarian dishes (personal preference). 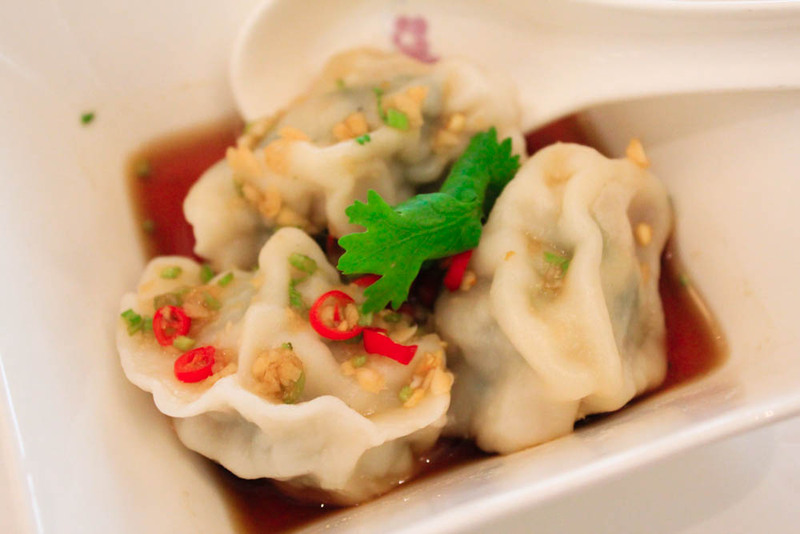 Ask for their homemade chunky XO chilli sauce to go with your dim sum as well, you won’t regret it. 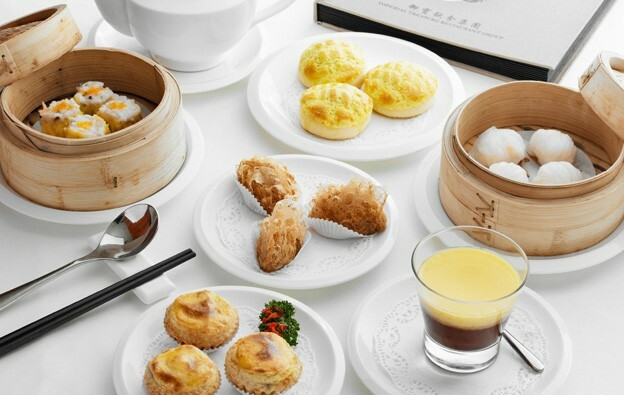 The latest Hong Kong dim sum craze to hit Singapore, Tim Ho Wan is the cheapest Michelin Star restaurant you will find on this planet. 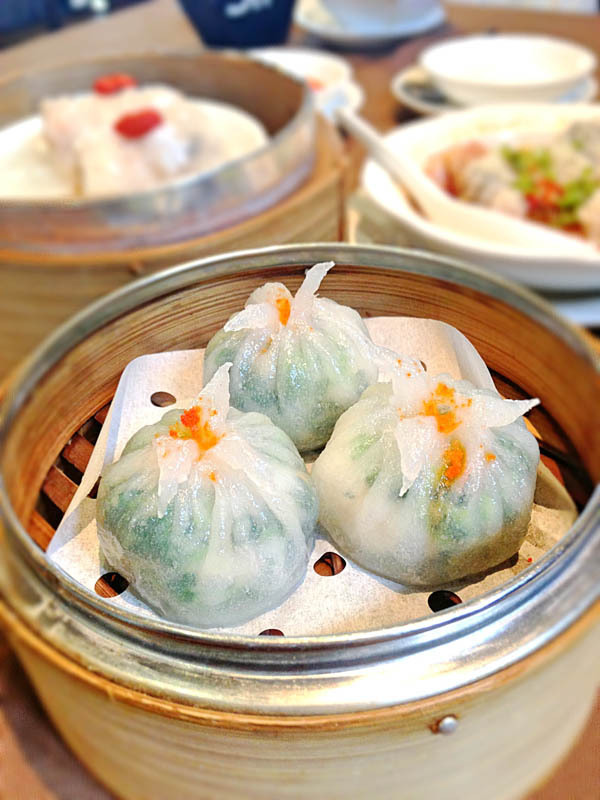 And they serve top grade dim sum at very reasonable prices with a limited menu. There are currently 5 branches as of this writing. When Tim Ho Wan just started in Singapore, the queue was insane. Now with their rapid expansion of stalls, it’s not as bad as before. New branches include one at Westgate Mall, Bedok mall and a 24 hour outlet at Aperia Kallang. The very first Peach Garden opened in Novena Garden in 2002 as a place for connoisseurs of Cantonese cuisine to gather. Since then, their success has led to multiple outlets opening around Singapore. Peach Garden is modern chic and uses a mix of Asian cuisines including Thai style. A very apt place for business and family dinners, Peach Garden is clean and appealing for the masses. 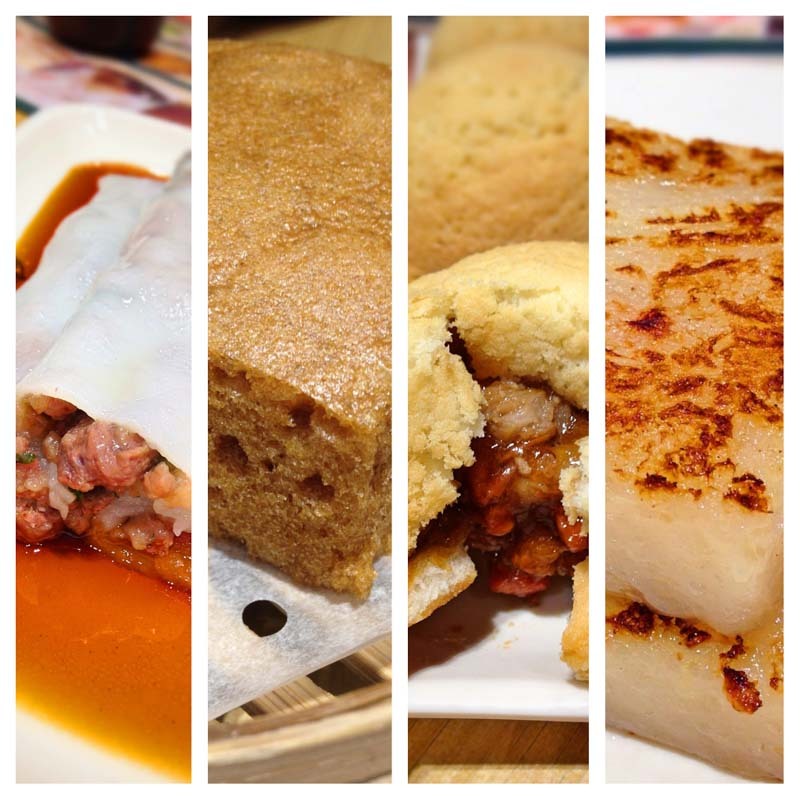 The fried Liu Sha Bao, roasted pork belly and XO chilli carrot cake are things to try. There’s also a very affordable high-tea dim sum buffet at $20.80++ on weekends, 3pm-5pm, which is extremely value for money. Service here is attentive and very conscientious. Even though I said no frills, some of these roadside hawker places have started charging for small items like appetizers and napkins so do take note. However, the average price per person will definitely still be less than $20. 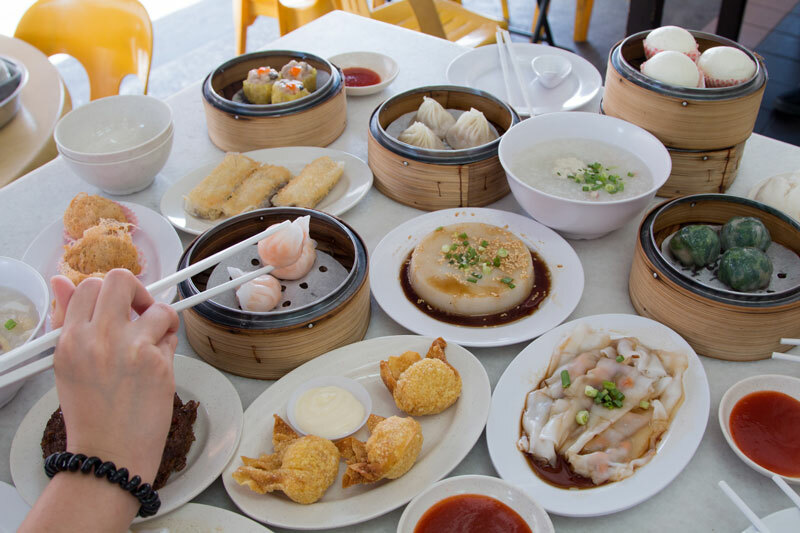 One of Singapore’s oldest and most successful road side dim sum place, although Swee Choon has raised prices, the dim sum is still very affordable. The beautiful thing about Swee Choon is that they only open at night, which makes it a popular spot for young, midnight supper goers. Most of the dim sum is above average, while the fried Swee Choon Mee Suah Kueh is quite interesting. Take note of the appetizer and napkin charges. And the old hookers that occasionally appear near Jalan Besar. Wen Dao Shi (or 126 Wan Dou Sek in Cantonese) is a place I’ve visited for years. The dishes are all really affordable, with one of the largest range of fried dim sum I’ve seen. This places is open 24 hrs like a boss. The setting here is like a 1980s Hong Kong stall. Although not a Dim Sum, the Thai-style Crab Bee Hoon they serve here is just amazing and flavourful at only $15! Best value for money crab bee hoon in Singapore. Dim sum hours: They never close, ever. Opens 24 hours. 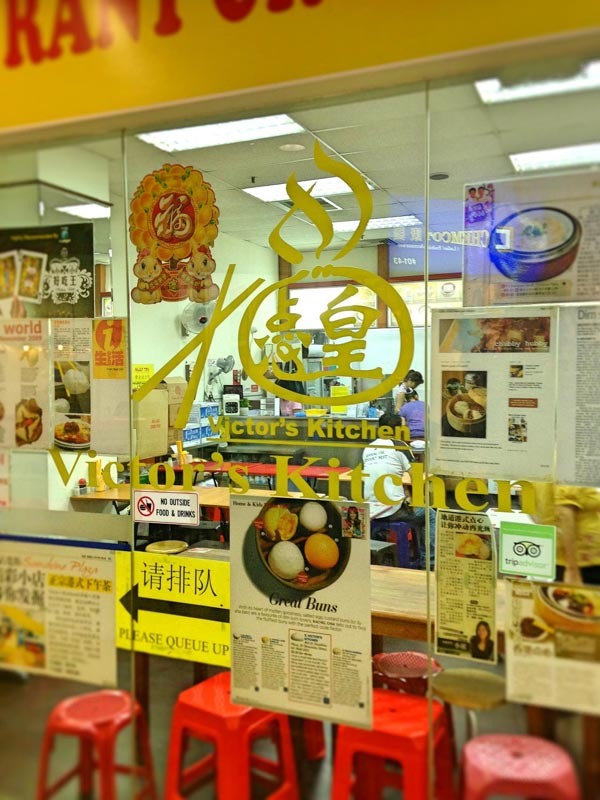 The most expensive out of the hawker dim sums, Victor’s Kitchen used to be in the category of ‘value-for-money’ but has since raised prices after getting popular. They compensate for this by giving larger sized dim sum, as well as adding a bit of twist like the wet XO sauce carrot cake. Lunch and dinner times get really packed like sardines, so either make a booking or come during off-peak hours. 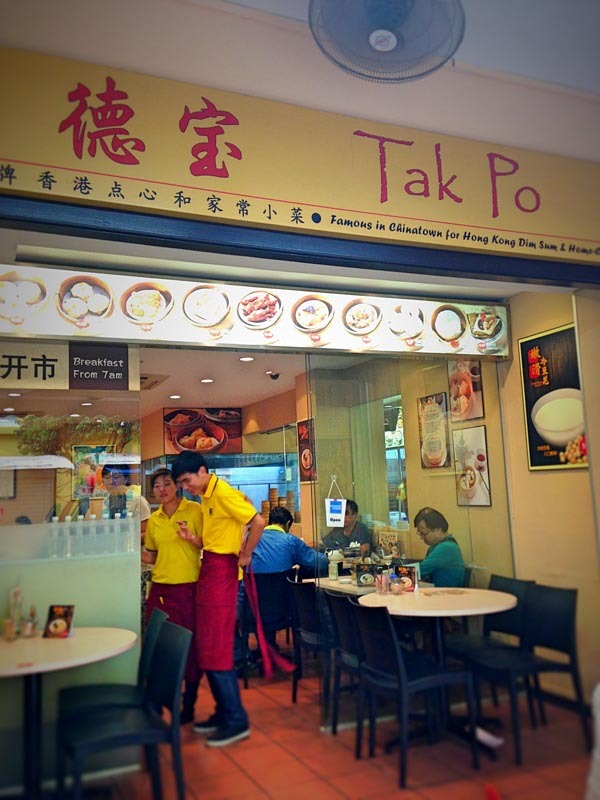 Tak Po is a casual and unpretentious dim sum restaurant in Chinatown, which can also translate to: don’t expect good service here. It’s one of few dim sum establishments that will allow you to order dim sum as individual pieces instead of the usual basket of threes of fours. Good for bigger and smaller groups. Although not amazing, the dim sum is convenient and pretty affordable. Try the soya drenched chicken feet ($2.80), lightly fried crispy yam dumpling ($0.90 for one) and char siew bao ($0.90 for one). Yi Dian Xin is no doubt, the epitome of no frills, fuss-free and cheap hawker dim sum. Located along the popular midnight supper spot of Upper Serangoon, it is easy to miss this little corner shop with massive crowds for teo chew mui Porridge right beside them. Still, things get a bit messy on a Sunday afternoon as its reputation starts to spread. Chef Foong hails from Tung Lok restaurant originally but has decided to start his own little stall in Upper Serangoon. Try the signature salted egg custard bun ($3) and Yi Dian Xin prawn dumpling ($3) which are extremely worth their price for this standard of quality. The atas (up-scale) expensive stuff. These hotel restaurants require deep pockets or are usually for that special occasion. Good food with excellent ambience and service, you get what you pay for. Yan Ting has probably in my opinion, the best Dim Sum brunch in Singapore if you ignore the last act of taking money out of your wallet. The interior is also amazingly modern yet retaining a distinctive Chinese fine-dining style. However, to have dim sum at this prestigious restaurant comes with a hefty price tag of $98++ for the non-alcoholic weekend a la carte brunch buffet, which has dim sum as well as other Cantonese dishes. Definitely not something you have everyday, and 3 times more expensive than other dim sum restaurants. Yan Ting is the place to go if you happen to be in the money printing business. Or your husband happens to be Li Ka Shing. Opt for the morning seating, as its less crowded and dishes won’t run out as fast. The 2nd most expensive dim sum buffet, Man Fu Yuan’s dim sum brunch is available daily at $88++ per person. Decorated with butterfly lamps and peony flowers all around, this restaurant exudes a nostalgic yet classy atmosphere. 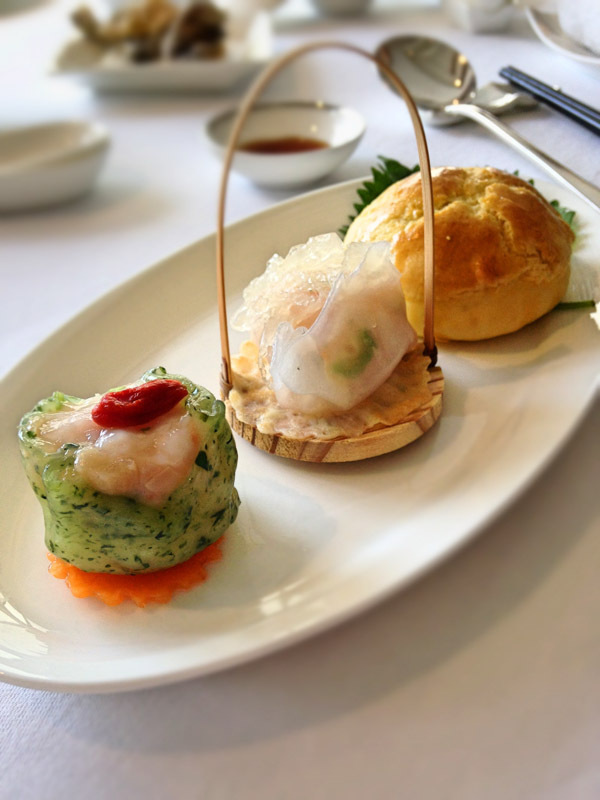 Serving handcrafted premium dim sum, having brunch here is a surefire way to feel chi-chi and atas. Mango prawn roll with wasabi ($5 for 3) has wonderfully fried skin with that wasabi punch, while the juicy Dumpling with foie gras ($5 for 3) combines Eastern and Western ingredients to birth this magnificent dim sum. Cherry Garden brings the realism of an ancient Chinese courtyard to the next level by having an actual antique wooden doorway you have to step through. Designed with Feng Shui in mind, this restaurant is truly a journey to the orient. 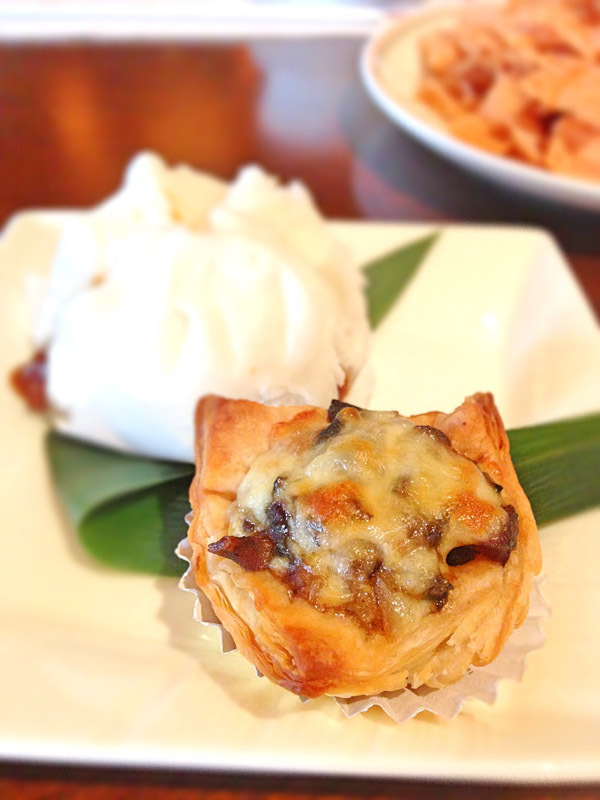 The dim sum selection here is mostly traditional, but has a few new touches like the Escargot puff pastry ($5.80). But what Cherry Garden excels in is using fresh and premium ingredients to make the standard dim sum even more outstanding. The Glazed Kurobuta Pork Char Siew Pau ($5.80) is probably the best char siew pau I’ve had. The weekend dim sum buffet will set you back $68++ per person. The Hai Tien Lo Weekend Dim Sum brunch buffet ($68++) comes with one premium buddha jumps over the wall soup as well as one braised abalone per person. The widespread menu also sees many Teo Chew influenced dishes in the dim sum brunch, like the steamed promfret with blended chilli paste. The quick-fried Hokkaido scallops are freshly sweet, while the double boiled chicken soup is just full of flavor yet light in nature. The Weekday Dim Sum Lunch buffet ($48++) has a smaller spread but costs less while still allowing you to enjoy Hai Tien Lo’s grand and lavish dining hall with many elements of the traditional wavy motif you’ll find at the Emperor’s palace. The more casual dining places where you can enjoy good dim sum and not have to breath in smoke, prices are higher than your hawker dim sums but with much higher service standards and consistency. Recommend making reservations in advance for all these restaurants to avoid dimsumppointment. Royal China has always been reputed to serve excellent dim sum in an up-scale hotel setting, yet is quite reasonably priced. They however seem to suffer from inconsistent standards from time to time, and each seating tends to be quite short- 1hr 15 mins to order. 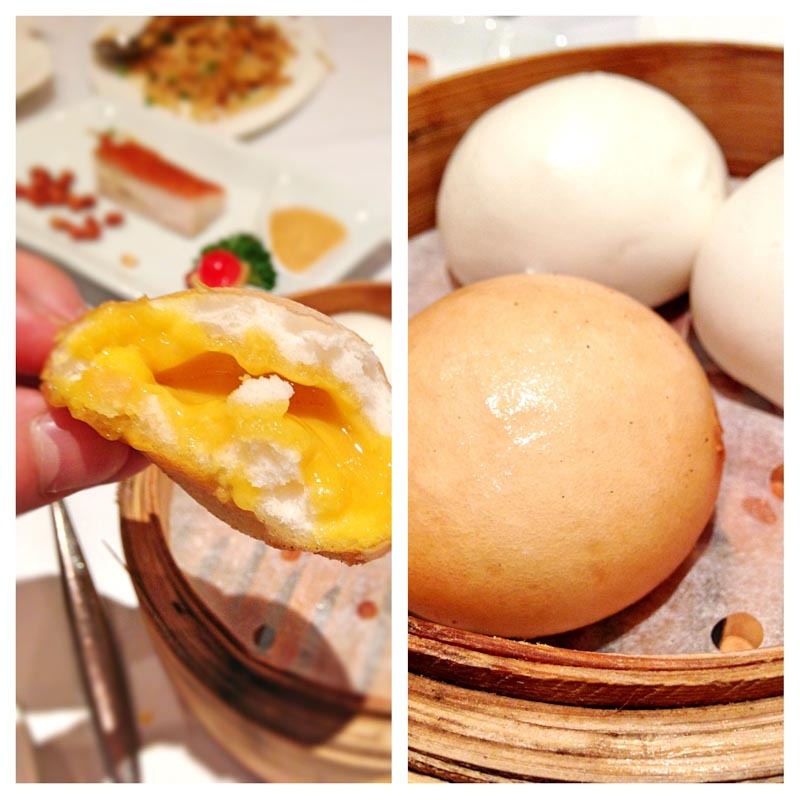 Superb thick and flowy Liu Sha Bao sweetened with some mango in the custard. XO Chilli here is recommended too. Make advanced booking as this place is popular and gets booked up. Other Chinese dishes are good too, like the Aromatic Crispy Duck, but are going to cost a lot more than the dim sum. Concentrating mainly on authenticity, Imperial Treasure serves wonderfully crafted dim sum prepared by their Hong Kong chefs. The quality is also very consistent no matter how many times you come. The many branches of Imperial Treasure have good dim sum too, like Nan Bei or Shanghai La Mian Xiao Long Bao, but I feel for the best selection of dim sum it’s still at Imperial Treasure Cantonese Cuisine. The dim sum dishes with fresh prawn are crunchy and delicious, like the prawn rice roll ($5.50) and siew mai ($4.80), while the banana roll with bean paste ($3.60) is something you don’t see that often. A restaurant serving innovative Hong Kong Style Teochew cuisine, East Ocean has become much more accessible since moving to Ngee Ann City in 2012. 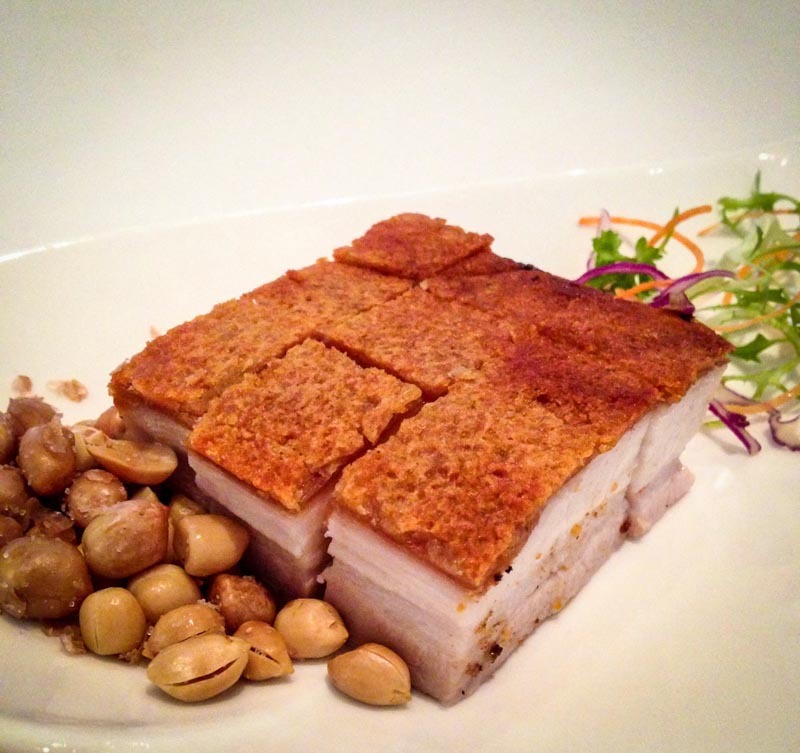 Hands down, the best crispy roasted pork belly ($15) I’ve had in Singapore was at East Ocean Teochew restaurant. The Liu Sha Bao was also amazing- thick flowiness and not overly eggy in taste. They also serve intricate animal-shaped dim sum dishes that are almost too cute to eat. 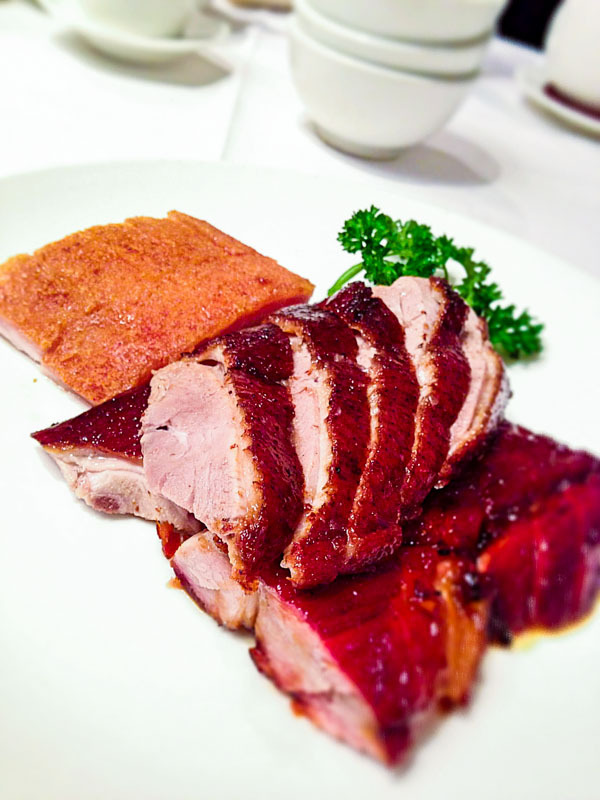 The honey char siew ($10.50) is also not overly sweetly marinated and still retains a meaty pork flavor. With a long history of awards, Wah Lok has always been reputed to be one of Singapore’s best dim sum restaurants. 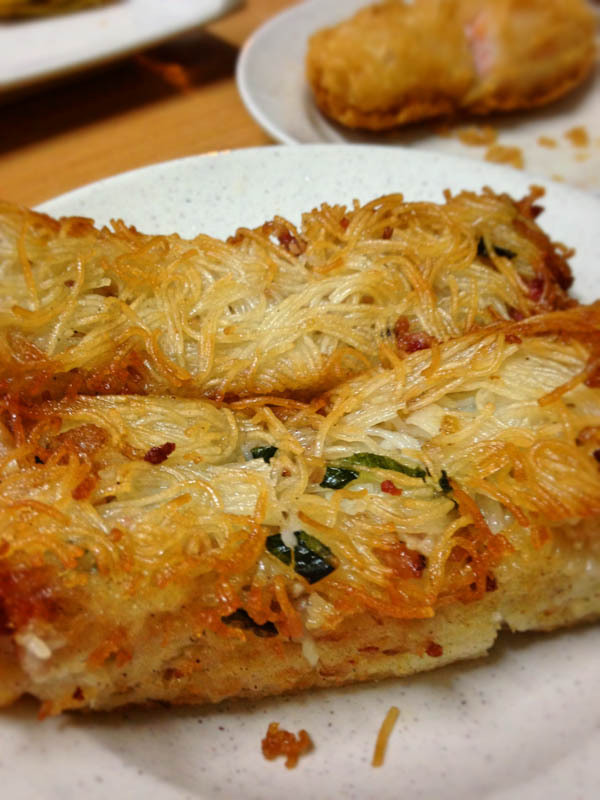 Serving traditional Cantonese dim sum, this is one of the few places you can find Hong Kong style steamed carrot cake ($4). You can order the dim sum portions here according to how many people there are, and not one fixed basket size. Prices are slightly more steep at Wah Lok than regular casual Cantonese restaurants, but the quality is worth it. Try the steamed crab and egg white dumpling ($6) and baked custard buns ($4.40) for something familiar, yet done differently in style. After a menu revamp, Mouth restaurant now has many creative dishes like the 6 coloured har gao and squid ink Char Siew Bao. Get the famous baked crust Custard bun, which is like Tim Ho Wan’s pork bun, but with salted egg custard filling. Very nice combination. 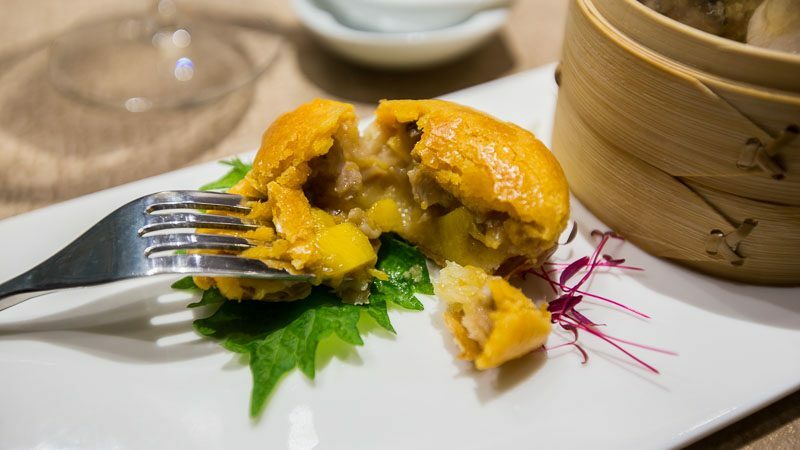 A lot of reinterpretations of classic dim sum items that looks quite daunting to try, Mouth restaurant is affordable and has visually pleasing dim sum, although it looks better than it tastes. Certain dim sum items like the Squid Ink Char Siew Bao are not sold during dinner. Who doesn’t like to stuff their faces with streams dim sum? I know I do. 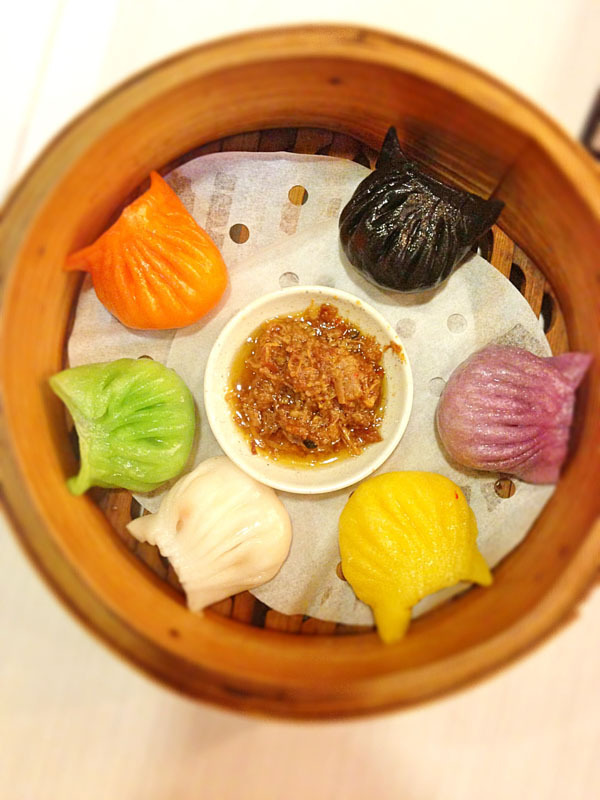 Here’s where you can have dim sum buffets in Singapore with good variety and quality. At $38++ per person, Jade’s dim sum buffet is a mid range brunch pricing, but worth every dollar. One time order items include the sumptuous, savoury Superior Bird’s Nest Soup with Truffle, a Shark’s Fin soup replacement, that has generous amounts of crab meat with that truffle after-taste. The fried/baked items at Jade are really good, like the Char Siew Sou and Fried Carrot Cake which have crispy yet non-greasy crusts. Extremely well-trained and attentive staff, this is one of the best balanced dim sum buffet. This Chinatown stalwart serves a $21.80++ weekday dim sum high tea buffet from 3pm – 6pm. Yes, it’s that specific. Probably aimed at getting people in during this lull time, Yum Cha gets quite crowded over the weekends during breakfast and lunch hours. There are over 60 items of a la carte items to choose from like the shark’s fin dumpling ($4) and pumpkin yam golden cake ($4.20), we also recommend the garlic soft shell crab ($8.80) which is crispy and well infused with garlic notes. This is a casual, unpretentious place with good old fashion dim sum carts, marble tables and wooden chairs. However, service gets a bit slow when there’s too many people, and dishes tend to take a while to be served. A Sze-chuan and Cantonese cuisine restaurant, Peony Jade features high ceilings, quaint red lanterns and decent dim sum. 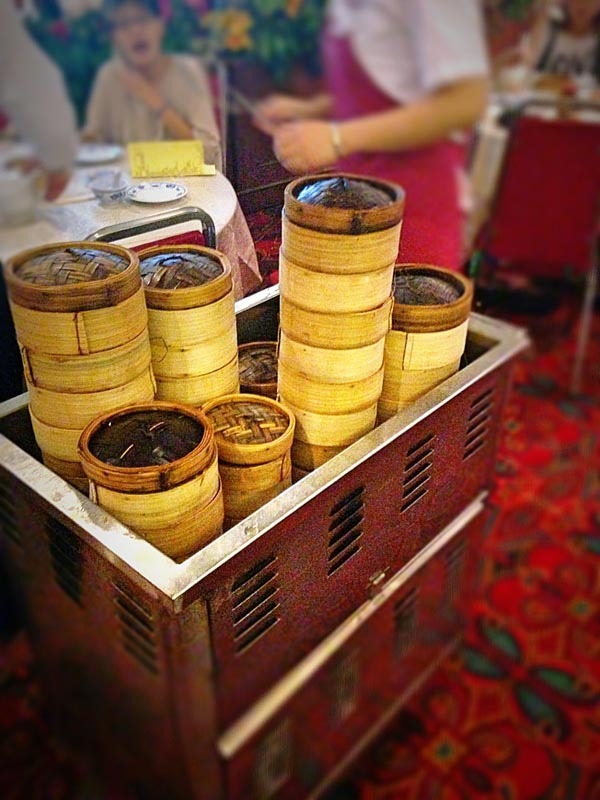 At $26.80++, Peony Jade Keppel’s dim sum pushcart buffet is quite worth it. Peony Jade’s mini pandan liu sha bao as well as the banana mango fritter are worth trying. The buffet also comes with 1 off Shark’s Fin soup and Salmon Sashimi as appetizers. If you have a car and want some good value dim sum buffet, Peony Jade is a good candidate to consider. Do note that the Clark Quay branch does not serve Dim Sum buffet, and it is only available at the Keppel branch. Each restaurant listed here has at least 30 years of history with many of their dim sum recipes remaining the same for decades. The ambience and feeling are all very nostalgic especially if you are a Gen X-er, you will definitely appreciate this. For me I can still remember going to weddings at these restaurants when I was a boy. Youngsters should check it out to have a feel of tradition. 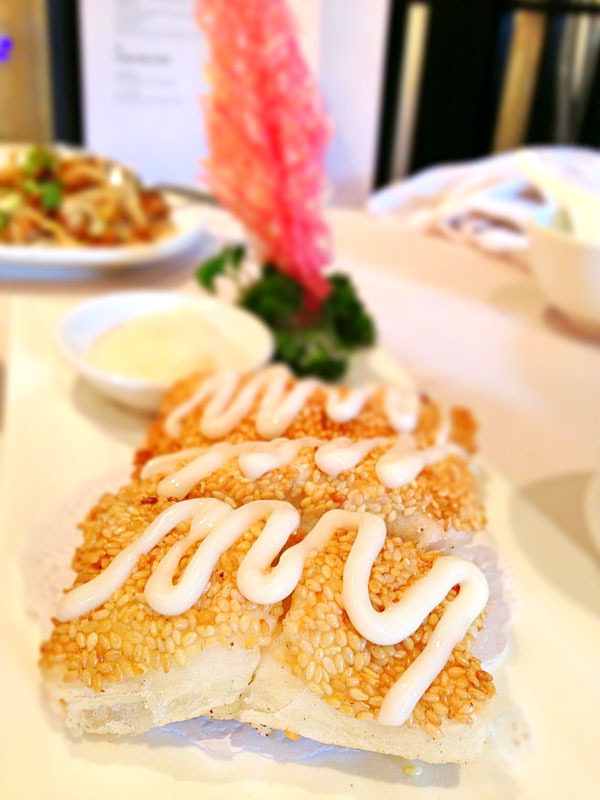 Red Star and Dragon Phoenix are run by remaining chefs of the Four Heavenly Kings of Cantonese Cuisine that gained fame and multiple culinary awards in the 70s. They were all disciples of grandmaster Chef Luo Chen at Cathay Restaurant in the 50s, considered to be the most prestigious Chinese restaurant at the time. They are also credited with inventing the famous Singapore dishes we eat so regularly today: Chilli Crab, Yam Ring and Yu Sheng. These 2 restaurants have similar standards and still employ traditional cart-pushing dim sum ladies like in Hong Kong. The restaurant layout and recipes have remained unchanged for more than 40 years, giving a very deep impression of nostalgia. The first restaurant in Regent Hotel, Summer Palace’s 50 seater décor reminiscences nostalgia and is a showcase of traditional Chinese restaurants with wooden fixtures and prosperous red highlights. An immensely popular pick for traditional Chinese wedding dinners, Summer Palace also makes an excellent business lunch venue if you want to let your client sample Chinese Canton cuisine. Excellent service as to be expected of a hotel restaurant. Expect items like the prawn dumpling with spinach infused skin, bbq pork bun and bird’s nest dumpling as part of the set. 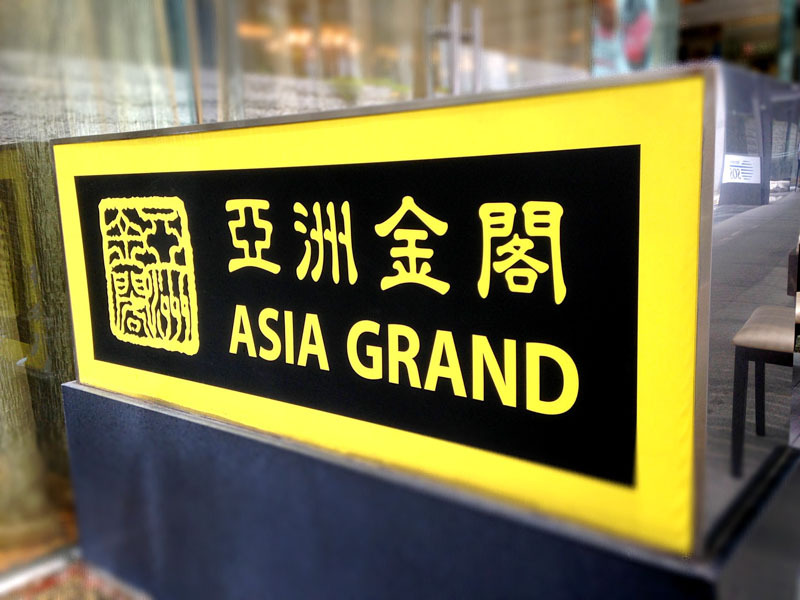 Winner of the Chaîne des Rôtisseurs medallion, Asia Grand has one of the better service standards out of all the classic restaurants here (other than Summer Palace). They have also updated their decor, and have traditional dim sums as well as simple yet new combinations like their steamed cheong-fun with shredded chicken and preserved eg ($5.80), which we think you will either love or hate; there’s no in between. The braised duck’s web with peanut ($4.80) also reminds me deeply of Hong Kong street food. The dim sum is popular and constantly quite crowded on the weekends from 9am-2pm. 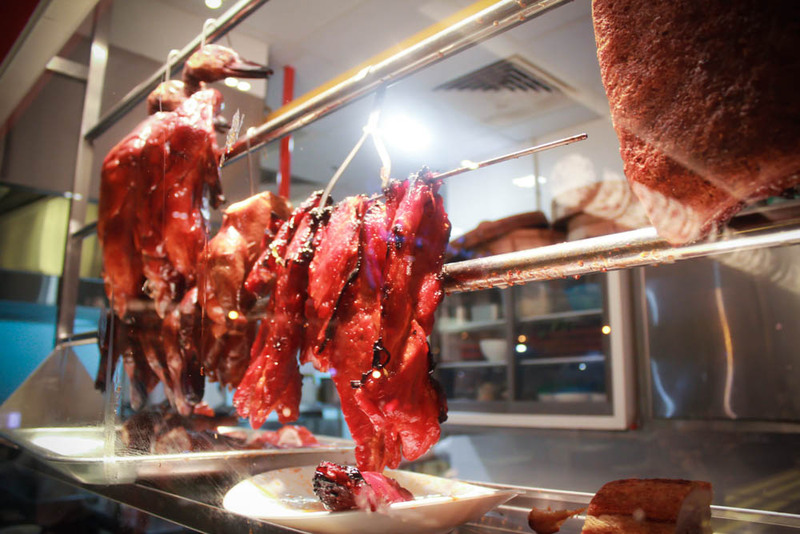 Tip: You must try the peking duck ($38) here, one of the best in Singapore. The oldest surviving Chinese restaurant in Singapore, the Spring Court brand has been around since 1929 before many of us were even born! Strictly speaking, the current restaurant is pretty new having moved several times, but the dim sum is classic. Now onto their 3rd generation of family management, this restaurant is constantly evolving and adapting to modern times, a sign of survival into the future to continue serving us dim sum goodness. Spring Court is a massive 4 story shop-house with an elevator catering for families and business VIPs alike. The homemade Popiah and Spicy Wanton 红油炒手 are fiery hot, but burns oh so good. The spiciness makes my ears tingle when I eat it, but it’s just delicious and full of flavour. Did I miss any notable Dim sum places? Let me know and I’ll check it out. It took me over 3 months to finish this guide, which will be an ever-changing one to be updated if restaurant standards have dropped, or a new favorite appears. As with all my guides, the term ‘best’ is subjective and based on my personal opinion after drowning myself in endless baskets of Dim Sum in Singapore. Many of the restaurants have different branches and standards may vary.